3 months on Lake Atitlan, Guatemala. 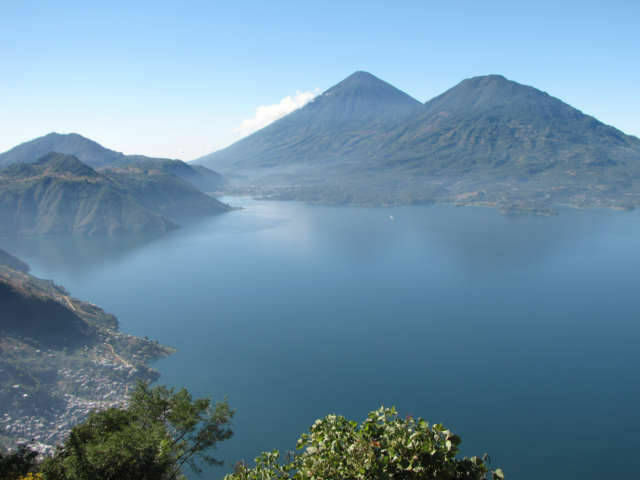 Lake Atitlan has about a perfect climate because it is at 5000 feet elevation in the tropics. I am Andy Lee Graham of HoboTraveler.com. I have been traveling nonstop for over 21 plus years. I have visited over 112 countries. I would like to give you the opportunity to help make your dreams of living abroad come true. I am inviting a limited number of folks to join me in my next location, or one of my future location for 1-3 months. Presently, I am living and enjoying myself on Lake Atitlan in Guatemala. At 5000 feet elevation, we have almost the perfect climate available anywhere on the planet. No need for furnaces, or air conditioning. During your stay from 1 week to 3 months here, or in one of the other locations I travel to, you will learn from me the joys and tribulations of living abroad. Find out first hand if this is the life you want. Presently, I am in Lake Atitlan, Guatemala if you would like to visit or consider South America in your dream of living abroad come join me. Cost of Program and Consulting: 1000 USD paid to Andy Lee Graham. Paid for by the client for things such as airfare, accommodations, transportation such as buses, taxis, etc. What is included in your consultation? 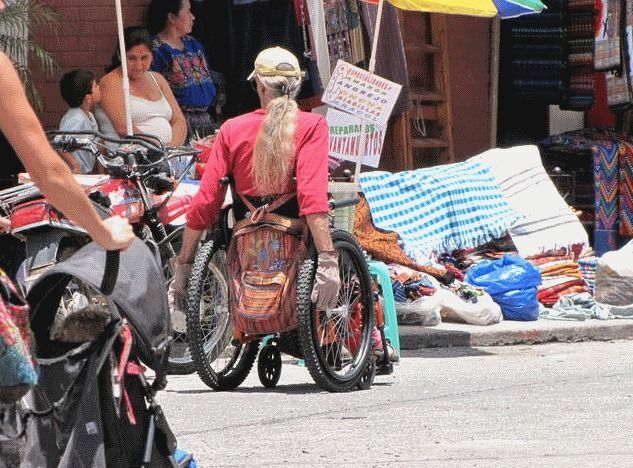 - Disability or problems assessed: where to get help for your needs. - Passport Help: how to get your first passport or renewal - types of services offered by the US Embassy at home and abroad. - All your packing questions: best way to pack for your stay and what to bring or not bring. - Budget help: helping you stretch your money to its fullest without going broke. - Medical setup: letting you know what medical help is available in the new location and what, if any, vaccinations you will need to travel. - Communication setup: will your cellphone work in the new location? How to communicate back home. - Negotiate for your room in Spanish: Rooms start at around 170-200 USD per month, with WIFI, private shower, etc. Some with kitchens. - Change Money: I’ll explain how to manage money abroad. How to budget, and pay bills from abroad to the USA by normal snail mail. - Medical, Dentist assistance, Eye Glasses: where to find the best and cheapest prices. - Prescription medicines: available in Guatemala, and many other countries, usually without prescription and for a lesser cost. - How I monetize my websites. - Communications: I will arrange for a cell phone for you if you need one. Prepaid cell phones are around 20-30 USD. - Transportation: I will arrange for the Tuk Tuk taxi to come to your hotel as needed. And pick you up when you wish to return. How to say the RIGHT 5-10 words needed for a taxi that cost between 50 cents to 2 dollars. - Tour of Lake area: a trip around the lake stopping at many villages. There are 8 different villages on the lake, and if you wish I can show you how to live at Lake Atitlan. - Assistance with your computer: helping you to communicate with family, friends, etc. - How to watch movies, read books using VPN access (where available). Call me as often as you need: USA Number +1-260-624-4414 Please let it ring longer than normal, all calls are being forwarded abroad. If no answer, please leave a telephone message. Before you arrive and after you arrive I will be there to personally answer your questions. And to make sure you have the best time possible while you decide if living abroad is your dream. And if it is how to achieve it. Program and Consultation Fee may be paid either by Credit or Debit card. Contact me today to discuss your travel plans and a chance to see whether you were meant to live abroad. Why wait any longer for your dream to come true? USA Number +1-260-624-4414 Please let it ring longer than normal, all calls are being forwarded abroad. If no answer, please leave a telephone message. Looking forward to hearing from you and showing you how your dream is alive, and available now. Here is an OLD VIDEO from the last tour. I am going to start making YouTube videos, explaining each aspect of tour. If you join, it makes it a lot easier to communicate, and if you fill out your profile, it also helps. Great idea to invite people to make the trip with your mum. I have found many people are hesitent to make the step into the unknown and Atitlan seems like a million miles from the known neighborhood. The reality is there is a very nice community there and with a little Spanish your group will easily be welcome. Do more with your mum. My mum is now doing dialysis and movement is very restrictled. This is a wonderful idea, wish I/we could join you.